One of the things that happens to the bereaved right after losing someone is that we tend to seek out things that will help us fill our recent void. Our bodies begin to crave more rest, and a host of other things – one being great tasting foods. Grief often tends to cause our appetites to change; and while some will experience a loss of appetite, others may experience an increase in appetite as the need to gravitate towards foods that elicit a dopamine release from the brain cause us to feel all warm and fuzzy inside and completely comforted. This is all due to the stress that comes with grief, and just as with any other form of stress we may know of our own “go-to” foods that we find personally healing. In fact we can all probably conjure in our minds right this very moment, (I am sure), a dish or recipe that we know has the power to make us instantly happier at any given moment. For me it’s my Mom’s curried chicken recipe or just about anything with, garbanzo beans, dark leafy greens, avocado or Italian. Those foods always go straight to my soul and make everything better. But, back to how grief either increases or decreases our appetite. In the days weeks and first few months after losing my son, I lost my appetite which resulted in my losing 12 lbs. Food was the farthest thing from my mind and I remember every time that I did eat, regardless of whether or not it was breakfast, lunch or dinner, I felt as though I was forcing myself to eat. I was forcing myself to eat, because I knew that eating something was the only way that I was going to have any energy to keep running back and forth to the hospital, plan a funeral service and take care of all of the lose ends and important tasks that must be taken care of after someone passes away. Even though my appetite was not there I knew that I had to eat in order to stay somewhat healthy. Sadly, though, I found myself in a bit of a fast food whirlwind grabbing unhealthy, easy, non-nutritious foods to sustain myself which as you probably already guessed, left me feeling even more depleted. Something had to change and I needed to find a way to get back to normalcy and start eating healthy again. So, I began by gradually increasing the days that I would cook healthy meals at home instead of eating out or grabbing fast food. Starting with two days a week at first, and eventually leading to making healthy home cooked meals 6 days a week – it took me 4 months to return to my usual healthy eating schedule. One thing that made it easy to do was to cook in bulk so that we would have leftovers available, (either from the previous day or frozen), if something came up and I was unable to cook one day. Another trick that I used was to pre-make healthy juices, smoothies, vegetable and fruit plates, soups and salads and I kept them at hand so they were easy to grab from the refrigerator for a quick snack or lunch. It is not uncommon for the grieved to receive food from friends and family after the funeral has passed, and this practice can be such a wonderful blessing when you are too emotionally and physically and weary to cook anything. I can’t stress enough how much helping the grieved in this way can mean the world anyone who has just lost someone. However, that is not something that we can rely on for the long haul. Therefore, having and idea of how to implement a healthy meal plan and and what to include can be invaluable not just to the bereaved while adjusting to a new way of being, but it could also be helpful to anyone who might be feeling overworked, over stressed, just plain tired or for any reason. During the spring and summer months we will usually feel satiated after eating just about anything light, but for a lot of people there is something about fall and winter that moves us toward craving comfort foods such as stews, hearty soups and casseroles. There is something about the cooler months that have us reaching for foods that warm our bodies as well as our hearts. The good thing is this, we don’t always have to abstain from enjoying those delicious comfort foods. For example, one way to still eat them and avoid adding extra pounds, or eating unhealthy, is to change a recipe so that it becomes healthier, but still tastes great. This is what I did with my lasagne recipe when I stopped making it with meat and all of the extra, delicious, but unnecessary cheese. It is absolutely scrumptious! 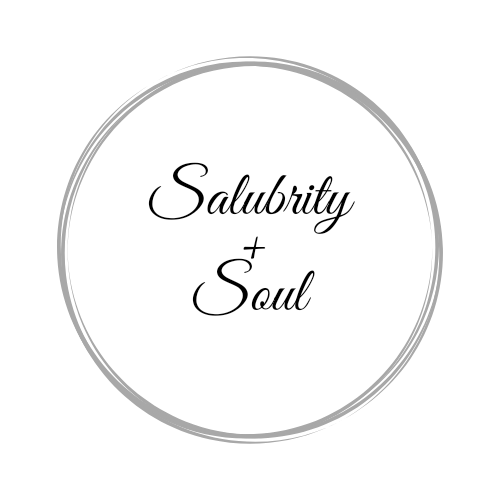 I will post a recipe for that lasagne this week in what will be Salubrity and Soul’s new recipe section, and it will also be posted on the Salubrity and Soul Instagram account. Asking friends and family for help with obtaining home cooked meals. Creating your own home cooked meals by making larger amounts of precooked meals and either freezing them for later, or to enjoy as leftovers during the week. Avoid fast-food by buying pre-packaged meals. Many of which can are now vegan, vegetarian, low-sodium or gluten free. Make homemade soups, stews and casseroles in a crock pot or instant pot to save time and your energy. Order food from a good restaurant instead of grabbing unhealthy fast food and have it delivered. As you can see, there are several things that you can do to help ensure that you are eating as healthy as possible while dealing with loss, and I will have more tips and tricks for maintain your health while grieving in the coming weeks.